Your home is a reflection of you and your story. A story in which every detail manifests into a space that is unique, personal, and quite simply – yours. 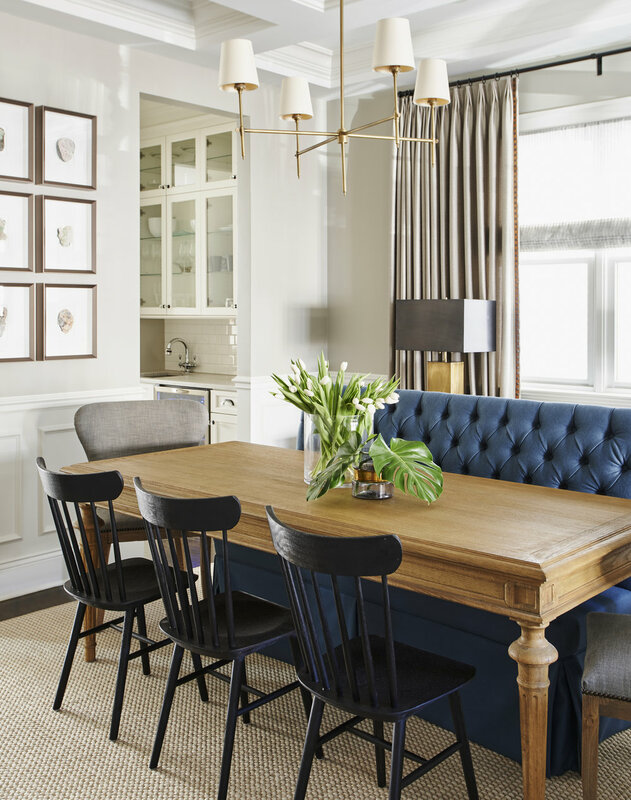 Turning a house into home with a balanced and meaningful story is what drove Elizabeth to interior design over a decade ago and is what continues to ignite her passion as a designer and the owner of EKD. Elizabeth began her career as a member of the Holly Hunt team, and later worked with Hall of Fame Interior Designer, Tracy Hickman. Her invaluable experience with Chicago’s top designers has culminated in her ability to build trusted relationships with her clients, while creating spaces that are revolutionary, imaginative, and styled. Named as one of HGTV's "Faces of Design" and LUXE Magazine’s “13 Design Innovators You Need to Know,” Elizabeth she continues to push the boundaries of design - blending color and neutrals, textures and patterns - in harmony to achieve an aesthetic that is inimitable and reflective of each client she works with. As a member of the prestigious Leaders of Design Council, and grounded in the belief that the design process should be inventive, transparent, and guided, Elizabeth seeks to provide the highest level of expertise, collaboration, and support to seamlessly deliver exceptional results. When she isn’t designing she can be found seeking sanctuary in yard work, rearranging furniture in her own home, or watching Netflix marathons.